Some retirees could be paying thousands of pounds more in tax than they need to. 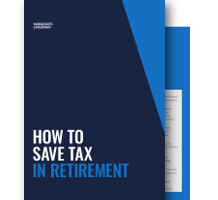 A few simple (and easy-to-implement) changes could make a significant difference to your tax bill - and perhaps your quality of life in retirement. This guide is not personal advice. Tax rules are subject to change and benefits depend on your personal circumstances. The value of your investments could go down as well as up so you could get back less than you invest. What you do with your pension is an important decision that you may not be able to change. You should check you're making the right decision for your circumstances and that you understand your options and the risks. The government's free and impartial Pension Wise service can help you and we can offer you advice.